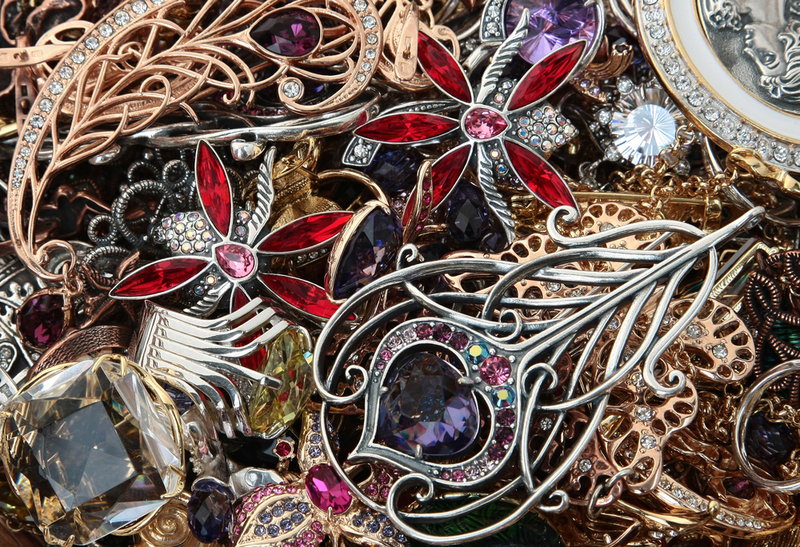 Whether you inherited pieces from a family member or love shopping at local flea markets, you probably have a collection of antique jewelry at home. If you no longer wear these pieces, selling them is a quick and easy way to earn extra cash. All Things Antiques and Collectibles, located in Rochester, NY, is a locally owned antique store with over 15 years of experience appraising metals, so they can tell you how much your vintage necklace or pocket watch are worth. Gold: This metal is popular for its durability and value. Jewelry is usually not made entirely of gold, but rather a mixture of metals. The amount of gold in an item is measured in karats with 24 karats being pure. The price you can get for your gold jewelry depends on the composition and market activity. Gold’s value can vary, so you might need to visit the appraiser several times to get the best deal. This precious metal is valued per troy ounce, which is equivalent to 31 grams. Silver: The value of gold is relatively stable, but silver is less predictable. This is because silver is an industrial metal as well as one used to make jewelry. Silver is softer than other metals, so it needs to be made into an alloy for strength. Most jewelry is made of sterling silver, which is a mixture of 92.5% silver and 7.5% copper. The price of silver is also quoted in troy ounces. Platinum: Platinum is rarer than gold, so it commands a higher price on the market. Platinum is also an industrial metal and is often used in automotive catalysts. As a result, car sales and production have a direct effect on the value of platinum. When selling your antique jewelry, it is important to understand what you own and how much it’s worth. Always visit an established, local dealer when selling gold, silver, or platinum. All Things Antiques and Collectibles offers the area’s best prices for antique jewelry, regardless of condition. For more information, visit their website or call (585) 647-9320 today.